← Sports DIY – How to Build Wind-Surfing Kite Canoes/Sleds! UPDATE: You can now pre-order yours on Amazon HERE. 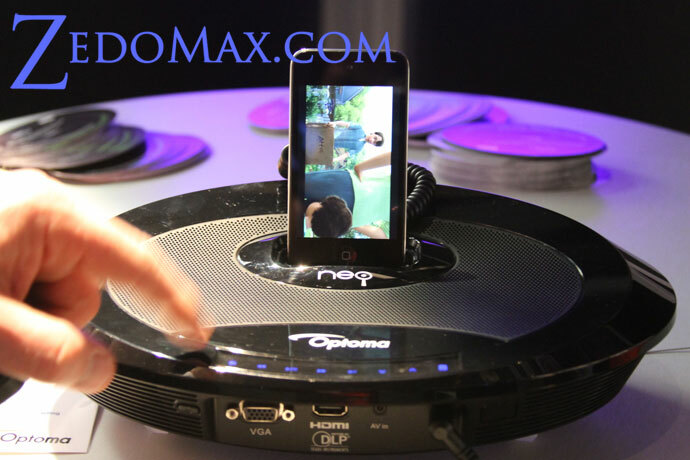 UPDATE: Check out Optoma’s new product the Optoma NEO-i DV20A Here! 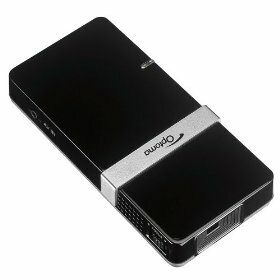 One of the gadgets that really stood out at CES 2010 was the Optoma PK301 pico/pocket projectors. As someone who has been trying to review best projectors today, this was something not to be missed. The Optoma PK301 is Optoma’s latest and best pico/pocket projector with features like MicroSD slot that will accept up to 16GB of data, meaning you don’t need to hook up your computer to display your videos, spreadsheets, and documents separately. Just store all your presentation data on your MicroSD and bam, there you got a portable presentation. The PK301 is also super bright at 50 lumens, can display up to 120 inches diagonal (854×480 resolution), meaning you will get a pretty darn large projection out of a super-tiny projector. As seen in my video, the PK301 is ultra-lightweight, you could probably travel with it in your pocket. Other nifty things include stuff like both VGA and HDMI inputs. If you use HDMI inputs, you also have the option to connect speakers using its audio outputs. Overall this is probably the best portable projector I have yet to see. I think PK301 is available on Amazon for around $399. 9 Responses to Optoma PK301 Pico Pocket Projector Hands-on Review! Max, how do you compare the Optoma PK 301 vs Acer K11 ? I need it for business presentation and for small area video viewing. which means it should be available to public soon. i’ve been desperately waiting to buy one of these………. without a PC or any other device……….. If you want connect with your iPod so PK101 is the best projector and its come with iPod connector but you cant connect with your laptop its design only for iPhone and iPod. Is the PK301 have good movie quality coming from a laptop? Or is this projector mostly used for business presentations? You get what you pay for. If you expect to fill a 10′ screen using this and greatly appreciate the image quality you are mistaken, even using HD as a source. It is a $400 data projector with its own set of problems i.e. out of focus edges, uneven brightness across the screen, use of a totally dark room only, very poor baterry that sometimes will not charge at all etc. And if you return it they give a refurbished unit in exchange. Increase lumens to 75 and btw it does not output 50 lumens it has been professionally measured at 38. (Increase the size of the LED’s and add a Yellow one to the RGB). Increase resolution up into the 1024 range. Increase the size of the lens and use a good lens. . . like a Carl Zeice. Do something with the battery and include a fully functional remote. Check out more interesting categories: CES 2010, Featured, Featured Gadgets, Featured Reviews, Gadgets, Projectors, Shows. 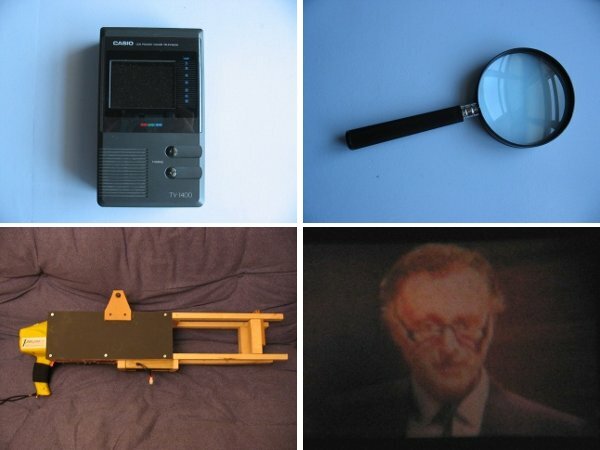 Projector DIY – How to Make a Handheld Portable Projector! Redfly Mobile Dock Allows you to Connect Your Smartphone to a Display and Keyboard!